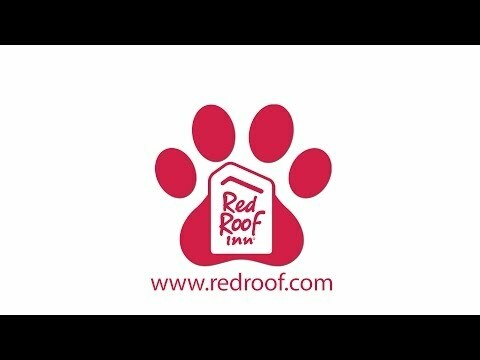 Please visit redroof.com to explore our nearby properties. BOOK TODAY. SeaWorld San Antonio (8.3 miles) features rides like The Great White, Journey to Atlantis, Shamu Express, and more. Bring the family for a fun filled day then get a good night’s rest at Red Roof. Book here. 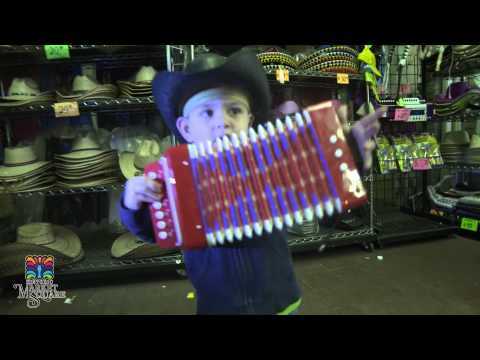 Explore over 100 locally owned shops and stalls, all at a festive indoor mall famously described as the largest Mexican market outside Mexico. Just under 10 miles way – book your stay. The number one tourist attraction in Texas, The San Antonio River Walk is a public park open 365 days a year, composed of restaurants, hotels, attractions and more. Hop on a riverboat to explore! Only 10 miles away – book here. The Briscoe Western Art Museum (9.9 miles) invites you to explore Western art and history through upcoming exhibitions, events, and programs reflective of the region’s rich traditions and shared heritage. BOOK NOW. Business travelers – our property is about 10 miles away from the San Antonio Henry B. Gonzalez Convention Center. Book your stay with us and be close to the conference or event you are attending! Book here. Stay at Red Roof when traveling to Lackland AFB (1 mi), Fort Sam Houston (13mi), Brooks City Base (14 mi), and Camp Bullis (23 mi). Whether traveling on leisure, official business or friends & family, click here for discount information. Book Now. At Red Roof Inn San Antonio – Lackland, “You Stay Happy, Pets Stay Free!” Enjoy your stay at this pet friendly hotel near San Antonio, TX. Book a room with us! Visit Historic Market Square and explore the delicious food and amazing entertainment that is always going on. Under 10 miles away – book now! Visit the Alamo, only 12 miles away from Red Roof! Book a tour and learn about the history, the Alamo Shrine, The Long Barrack Museum and more! Check the calendar for events that are happening while you are in town. Book with us! Eat at one of these nearby restaurants when you stay with us. All four restaurants are walking distance from our property. Mina & Dimi’s Greek House, Baitong Restaurant, La Michelada Grill, and Taqueria Arandas. Book your stay today. Red Roof is a 20 mile drive away from all the excitement at Six Flags Fiesta Texas! They have thrill rides, water park rides, rides for families and kids, dining and more! At Six Flags Fiesta Texas there is something for everyone. Get your tickets for the park and book your stay. Take a trip in to the city while staying with Red Roof, just 11.5 miles away! On your visit, stop by the Historic Market Square, The Riverwalk, and enjoy the dining and nightlife of San Antonio. Always plenty of excitement and tons of attractions to explore! Book now! The San Antonio Zoo is located 13.5 miles away from Red Roof Inn San Antonio – Lackland. Visit the animals and exhibits like Africa Live, Amazonia, Gibbon Forest and more! Don’t forget to take the Zoo Train through Brackenridge Park. Book your stay with us. Come see an event at the Tobin Center for the Performing Arts (10.8 miles). Upcoming shows include Postcards from Las Americas (Jan. 25-26), Olate Dogs (Jan. 31), Peter Pan (Feb. 5-6), Clifford the Big Red Dog Live! (Feb. 19) and many more. See a show and stay with us! Red Roof San Antonio Lackland has been rated 2 Diamonds by AAA; "Affordable, with modestly enhanced facilities, decor and amenities." We are proud of our rating and are excited to welcome you during your next trip to San Antonio! Book here - and remember to click the AAA Rate. I was graduating from Lackland Air Force base and I booked this hotel for my parents when they came into town. When I checked into the hotel, the first thing I noticed was how clean the property was. When I walked into the office, the staff greeted me and was very friendly and helpful. The free Wi-Fi and parking was a plus, and the breakfast was amazing! I requested a handicap room for my parents, and I was honored with what I asked for. The room was spotless, comfortable beds, nice flat screen TV in the room, more than what I expected! On behalf of my parents, they would like to say thank you to the staff and housekeeping on the property for making their stay easier.. No complaints, they deserve a 5 star review!! BOOK HERE. Red Roof is 17 miles away from San Antonio International Airport. Don't waste time on the commute. Book a room with us. Hemisfair Park (10.9 miles) and Travis Park (11.1 miles) – come check out what is happening at these two locations nearby Red Roof. Book today.